Dan Harris is one of British historical building collective Bricks To The Past. On this, the 100th anniversary of the start of WW1’s Battle of Passchendaele, he offers a moving brick-built tribute to the fallen. In particular, it commemorates the loss of Welsh poet Ellis Humphrey Evans. You can read more about the poet and his work in Dan’s blog post. 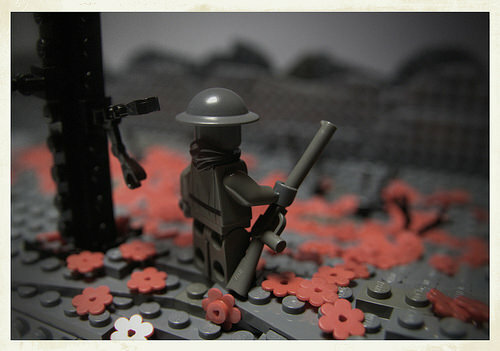 In the meantime, this quiet little scene provides a poignant image with which to commemorate the thousands of young men who gave their lives.